The Altelix AU09G6-NF Omnidirectional Antenna provides 360 degree wide area coverage and 6 dBi gain. It is ideal for wireless video systems, SCADA, Telemetry, RFID, WCDMA, GSM, 850 & 900 MHz Cellular and Non Line-of-Sight (NLOS) applications. 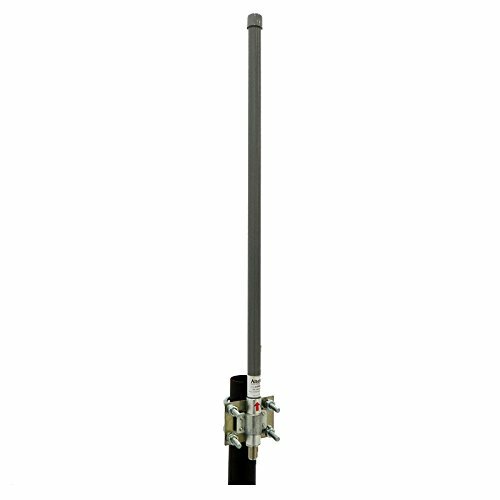 This rugged fiberglass antenna is designed for outdoor all weather operation. Pole mounting hardware is included. Ideal for GSM, 850 & 900 MHz Cellular, wireless video systems, SCADA, Telemetry, RFID, WCDMA and Non Line-of-Sight (NLOS) Applications. Includes Pole Mounting Hardware for Pole Diameter 1.2 - 2 Inches (30 - 50 mm). Bracket also allows antenna to be mounted flat to a wall.